This is a giro-style tour designed to explore the out of the way places we love to visit on our own. Our journey will take us to three unique Tuscan locations, roaming from chestnut hills, vineyard lined slopes, volcanic countryside, and Mediterranean views. We’ll go full Cinghiale on this tour and turn over as many new stones as possible. Sangiovese wines, Etruscan ruins, the heart of Tuscan cuisine—andiamo! Cyclists looking to see a range of terrain over the week will appreciated this giro-style tour. The terrain will be mostly rolling hills including two transfer days with vertically challenging routes. Your summer fitness will be rewarded with plenty of miles to pedal. This is a wonderfully scenic trip for non-cyclists. We will not have a specific itinerary as an alternative to riding but we can guarantee great views, food, and wine. We’ve been rediscovering Tuscany and look forward to spending time cycling in different and new-to-us places over this week. 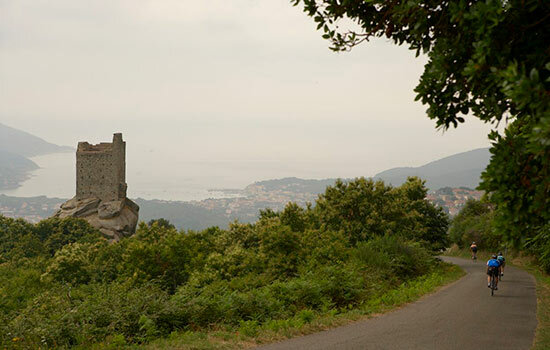 Our rides will take us on some of Tuscany’s most spectacularly abandoned roads, our wines will be local and draw from the designated wine areas of Bolgheri, Val di Cornia, Chianti, Montecucco, and Elba. Elba! 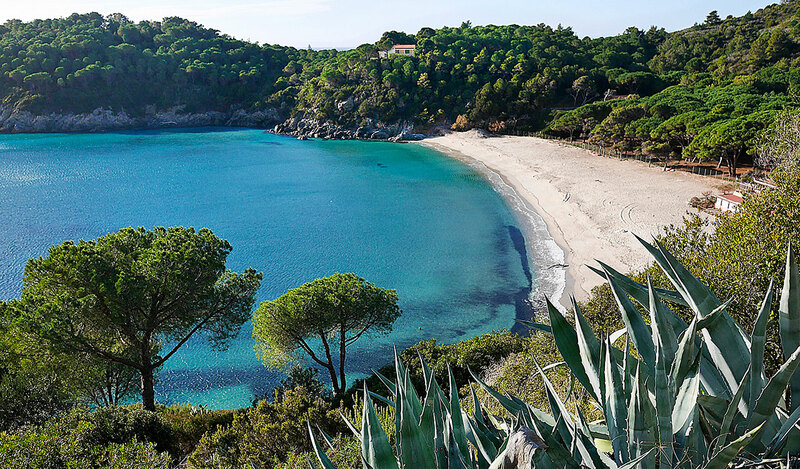 We have visited Elba often with our tours over the years, and love the water and beaches, but we are learning to go inland to discover its history. If the weather is calm we will organize some water based activities, and suggest a hike from the hotel. Elba has many prehistoric, Etruscan and Roman artifacts to explore. Drop off: Monday, Oct 1: two shuttle times will be offered to accommodate the 6:30/7:15 a.m. departures and later-morning departures. We will also provide drop-offs at the local train station in Castagneto.